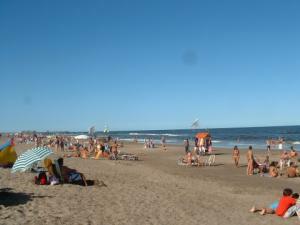 Pinamar is considered to be the high-brow choice for beach goers on the Atlantic coast. A five-hour, luxury bus ride away from Buenos Aires, Pinamar boasts a wide, dune-covered beach replete with balnearios (beach bars/nightclubs), a shopping center, and steak houses. Pinamar is no Punta Del Este — true there are some beautiful homes along the beach reminiscent of Cannes, Malibu or any other affluent coastal destination, but Pinamar is most of all a clean, relaxing alternative to its neighbors Mar Del Plata and Villa Gesell. It’s commercial enough to be accessible to tourists and pristine enough to offer ideal refuge from the city. Pinamar literally means “pine sea” and refers to the local terrain that includes pine-strewn dunes. The town center has upscale shops with name brands like Diesel and surf gear, as well as parillas (steak houses) and cafes. The rest of Pinamar is residential with homes nestled in the dunes. There’s an art deco hotel built in 1920 that’s been converted to a hostel facing the beach. Albergue Bruno Valente is a traveler’s hub with 80 beds, a full service kitchen, living room, and terrace with parrilla for asados in the summer. 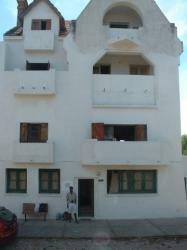 Its rooms, beach side, include balconies and offer great views of the dunes and shore. 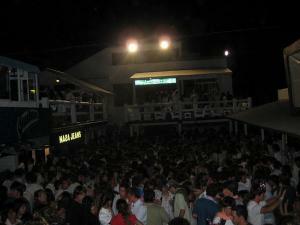 Pinamar is also home to Ku (pronounced “coo”), the mega beach club popular with portenos away from home. This boliche does its best impression of an Ibiza disco with popular deejays and parties that go into the wee hours. After a few days of sun and party in Pinamar, you’ll have had the full experience of the porteno Atlantic Coast getaway. This page rendered in 0.77 seconds.